Feast of St. Hannibal Di Francia! Dearest, The Rogate Ashram Community - Aluva - inaugurated the feast of St. Hannibal. Every year, the feast is celebrated on the last Sunday of May. This year it falls on May 25. The same occasion we gather the adopted children who received the first communion during the months of April and May. Today, Fr. 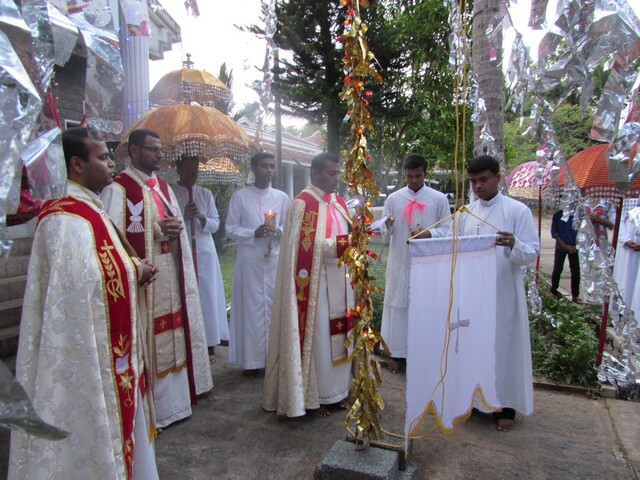 Vinu, the superior hoisted the festal flag, Fr. Albert Kollamkudy celebrated the Holy Eucharist. The festal celebration last for three days. Sunday, we have the solemn Eucharistic celebration at 10: 00 am and the procession carrying the statue of fr. founder.